Who has the best deal on a home for me? 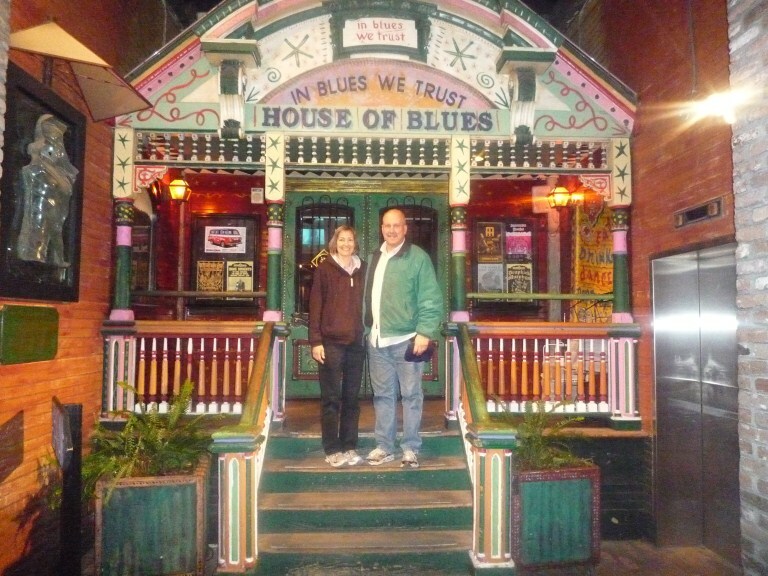 The picture is from front door of the famous House of Blues in New Orleans. I hear buyers cry help. Everywhere I look some Realtor or Investor or Home Owner wants to tell me and sell me on the idea that they have the best deal on a home for me. People tell me, I have been looking for months. Others complain, I have several requirements but no one is listening to my needs. Buyers often ask, why do these realtors show me houses for sale and houses for lease that I do not want? The Real Estate answer is pretty simple. Investors, home owners, landlords, Realtors, Brokers, are showing you only those houses in which they will make money. Realtors only show houses that Realtors get paid for if you buy. This is understandable but the house they lead you to may not be the house you want to buy or the best deal for you. There are thousands of homes and houses for sale and lease purchase that realtors do not even know exist and they will never show you. There are many houses not listed on the MLS or FMLS in every state for sale. Investors show you houses they own and or homes they will make money on if your buy or Rent to Own. Home owners show you their only house for sale. A home owner may even owner finance the house because that is the only house for sale where they might make a profit. You can greatly improve your chances of choosing the best deal for you on a home by searching for your new home with the right professional for your individual needs. If you want a new house maybe the realtor is the best choice as most new homes are listed on the MLS. If you want a Lease Purchase, Owner finance, Rent to Own, or creative financing deal an investor may be your best source for a home purchase. If you need an owner financed home and you have the time (months) and the special skills to find the owner of the house you desire then maybe that is the best way for a select few home buyers. We sell and buy houses at A O Home Solutions and we have deals for almost everyone. No one has all the answers or the best house all the time. We have several houses every week to choose from and financing to fit almost every budget. Whether you want to buy a home, lease purchase a home, owner finance or rent to own a home there are many options for you. We allow you to pick the house, the financing, and the timing to give you the best deal when buying a house in Georgia. You actually make it seem so easy with your presentation. It seems complex. I’m looking forward for your next post, I will try to get the hang of it! you’re really a good webmaster. The contents are masterpiece. you’ve done a fantastic job on this topic! I do consider all the ideas you’ve offered on your post. They’re really convincing and can certainly work. Still, the posts are too quick for novices. Could you please extend them a bit from subsequent time? Thanks for the post. Your way of telling everything in this piece of writing is genuinely pleasant, every one can without difficulty know it, Thanks a lot. Fairly good post. i really truely liked studying your blog posts. I am going to be following to the wesite plus I really hope you actually post again quickly. I genuinely enjoy looking through on this website, it holds wonderful blog posts. “Don’t put too fine a point to your wit for fear it should get blunted.” by Miguel de Cervantes. what a great article this is, really informative and innovative. It is really valuable. thank you very much. Fantastic article. I just stumbled upon your current blog site and would like to talk about it. I truly enjoyed studying your blogposts. I’ll end up following with your wesite and even I hope you will write again in the near future. Nice post, I recently passed this onto any uncle who was simply conducting a small study with this. Many thanks. really good post. i will link to this at my blog. It is really an very good article and i’m certain that it would have taken many your top quality time to prepare such an unique and fresh guide. Follows your blog and will be valuable if you may give much more regular and organized posting tips for beginners like us. Maybe you can publish subsequent content articles referring to this article. I want to read even a lot more issues about it! Nice article! Great post about I have the Blues from house hunting! “I have the Blues from house hunting” – interesting title Mark. Thank you for the info Mark. Oh my goodness! an amazing article dude. Thank you. You’ve got a good weblog here! Get an agent, but do not buy from the listing agent. The listing agent is REQUIRED to represent the best interests of the seller, and you’re going to want to have someone on your team (and ONLY your team). For Sale By Owner is fine, but they don’t always know what they are doing. For instance, they may not be aware that they are required to disclose ALL defects. If you buy a For Sale By Owner, you need to be able to confront them directly about any concerns you have and negotiate all your own terms. Do you know how to write a purchase offer that will hold up in court so that the seller is liable if they misrepresent the property. If you’re BUYING a property, use a reputable agent. The seller pays the commission so it won’t cost you a thing to benefit from their wealth of experience. I have bought and sold a LOT of houses, and I still use an agent for every transaction. They are worth their weight in gold! I’m currently in real estate school, and I can’t believe how much there is too know before obtaining a license. It’s not an easy job, and the piece of mind (as a buyer OR a seller) is priceless. Some genuinely superb posts on this site, regards for contribution. Katharine Graham. I’ve been exploring for a bit for any high-quality articles or blog posts on this sort of area . Exploring in Yahoo I at last stumbled upon this website. Reading this info So i am happy to convey that I’ve an incredibly good uncanny feeling I discovered just what I needed. I most certainly will make sure to do not forget this site and give it a look on a constant basis. It’s appropriate time to make some plans for the future and it is time to be happy. I have read this submit and if I may just I wish to suggest you some attention-grabbing things or advice. Maybe you could write next articles relating to this article. I desire to learn even more issues about it!